Last night, Sony officially announced pricing for their new F5 and F55 lineup which included their highly anticipated 4K recorder. Now that Sony’s cards are on the table, we can finally look objectively at all the 4K options on the market. RED of course was first to the game when they released the RED One a few years back. Since then it has been both a popular and hated camera choice. The choice to shoot 4K RAW was a godsend for many shooters, however the RED One came with a good deal of frustration and anyone who has shot with it will attest that it is a camera you can’t fully trust. RED announced a few weeks ago that they were slashing prices on all their current cameras. The One body was brought down to an incredibly low price of $4,000. Of course it sold out quickly so that deal won’t be available at the time of this article. Still the RED Scarlet and Epic bodies were also slashed putting RED at a much more competitive place in the market. Still, when you price out a full kit for the One, Scarlet or Epic, the cost shoots back up. Canon showed off their C500 and 1DC at NAB. While many were hoping Canon would come in as a low priced competitor, Canon had other things in mind. Pricing for the C500 and 1DC were set at $26K and $13K respectively and still required an external recorder for 4K acquisition. The first company to meet the demand was AJA with their Ki Pro Quad. The $3995 recorder can capture up to 10 bit 4K to solid state drives. Sony shocked many when the FS700 was announced. A camera that can shoot up to 240fps in full HD with numerous bells and whistles shooters have been dreaming about and the promise of a future 4K upgrade. At $8000 the camera seemed to come in a very competitive price point, but the Sony’s plan for implementing 4K on the FS700 was left with several unanswered questions. Battery and other accessories – ??? Let’s also bring up one thing that the FS700 can do that RED can’t. What happens when you don’t need 4K RAW? With the FS700 you can just disengage the 4K recorder and be on your merry way shooting HD to the built in AVCHD codec, which has proven itself amazingly robust for most applications. With RED, you are stuck with RAW unless you want to drop $13K on a module to shoot at higher compression rates. This makes the FS700 a much better camera for documentary and web video. Hey, what about the RED One? Well assuming you can find one, there are a few limitations you will be facing. First off, it shoots to 12bit RAW…not a big issue, but something to keep in mind. Like the other RED cameras, $4K doesn’t get you “ready to shoot” camera. The necessary accessories will cost you a few thousand dollars extra. And perhaps most importantly, the RED One has nowhere near the sensitivity of the new RED cameras or especially the Sony cameras. One camera we haven’t mentioned yet is the Black Magic Cinema Camera. Technically since this is a post about 4K, the BMCC doesn’t qualify, but we’ll bring it up for the sake of argument. The BMCC is a solid contender with 12bit 2.5K RAW as its default recording format and the option to record to ProRes for smaller file sizes. Where it suffers is in frame rate options (maximum of 30fps), crop factor (smaller than micro four thirds), battery options and on camera controls. It is essentially the HDSLR of RAW video; not the perfect video camera, but a powerhouse in a small body. And at $3K, it really packs a lot of bang for the buck. So what’s the most cost effective option for 4K? There is one last option that we haven’t talked about. The FS700 + Sony’s 4K option gives you 16bit 4K RAW. But remember back when we talked about the AJA Ki Pro Quad? 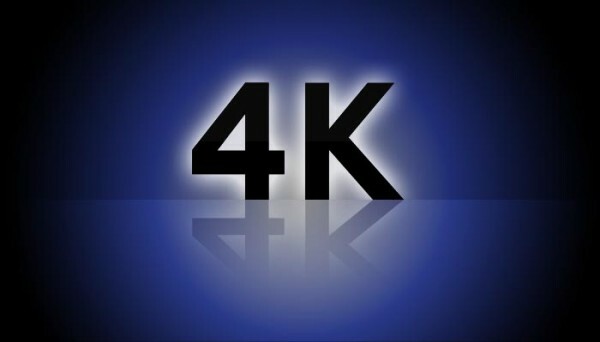 4K 10bit for $3995. Sony has hinted that the FS700 will support third party 4K recorders. Right now the Ki Pro Quad is one of the only 4K recorders on the market. Assuming it is supported, all you should need is the 4K firmware upgrade for your FS700 to work with the Ki Pro Quad. Since the Quad has built in debayering, it can handle the RAW signal on the C500 and FS700 and convert them to 4K 10bit 4:4:4 ProRes. Not quite Sony’s 16bit RAW option, but less than half the price. We also spoke to Atomos at NAB who has promised that they are working closely with Sony and plan to release recorders to support future generation cameras. 4K is a logical progression and I wouldn’t be surprised to see a cost friendly Atomos 4K recorder announced at NAB 2013. So if the Ki Pro Quad is supported and the 4K firmware update for the FS700 doesn’t cost more than $1000, you could be shooting 4K 10bit 4:4:4 ProRes on the FS700 for under $13K. This puts it under the price of a Scarlet. 16bit RAW, 12bit RAW, 10bit ProRes…what flavor do you need? Do you need them at all? With camera prices dropping so rapidly, renting 4K may be easier than purchasing it. Rent a RED, buy a FS700 and rent the 4K adapter…there are so many options to choose from. The 4K update for the FS700 won’t come till Summer 2013 so if you need 4K now, RED is your main choice. But something tells me NAB 2013 is going to have even more 4K announcements than ever before. Good post! my opinion: really you need shoot at 4k? Think about this. Shoot on 4K resolution is only for cinema theaters. 90% of filmmakers will be very satisfying shooting at 1080p. I will like shoot at 1080p RAW, not 4k RAW. Nowadays, 100% of our clients was very satisfying with 1920x1080p. I will be talking about this in my next post. If you do any high-end visual effects and color correction it really helps starting with a 4k Raw image. There is so much information to manipulate. You’ll probably output to 1080p anyway, but the product will be far cleaner.